Captain Ted “Bench” Williams is originally from North Kingstown, RI, and graduated from the U.S. Naval Academy in 1987. After earning his pilot’s wings in 1989, he completed Fleet Replacement Squadron (FRS) training to fly the EA-6B Prowler. As a junior officer, Captain Williams served in VAQ-132, 138, and 141 holding various positions as well as Landing Signal Officer while he participated in Operations DESERT STORM, SOUTHERN WATCH and DENY FLIGHT and was awarded the CDR Louis “Seadog” Fodor Memorial Award for outstanding Junior Officer Leadership in the EA-6B community. Captain Williams next reported to the FRS, VAQ-129, as a Flight Instructor and also served as the Maintenance Officer. In 1998, he reported to VAQ- 136 in Atsugi, Japan flying aboard the USS Independence (CV 62) and later transitioned to the USS Kitty Hawk (CV 63) and completed successive deployments to the Persian Gulf in support of Operation SOUTHERN WATCH. Captain Williams reported to U.S. Central Command in 2000 where he served as the Executive Assistant to the Deputy Commander in Chief in support of Operation ENDURING FREEDOM. 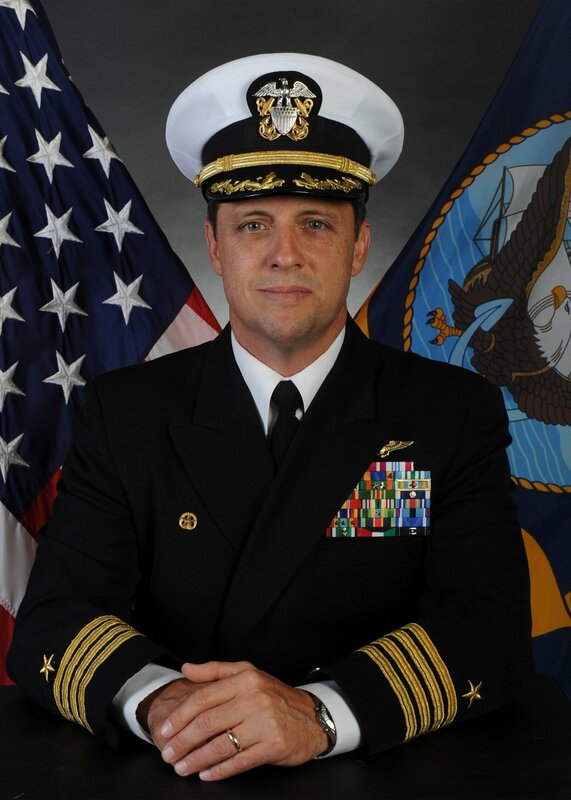 In March 2004, Captain Williams was assigned as the Executive Officer of Electronic Attack Squadron 131 deploying aboard USS Abraham Lincoln (CVN 72) and participating in Operation UNIFIED ASSISTANCE off the coast of Indonesia. Assuming command of the “LANCERS” in May 2005, he deployed with CVW-2 where his squadron was awarded the Battle “E” and the Admiral Arthur W. Radford Award as the community’s finest. After command, Captain Williams reported to the Federal Executive Fellowship Program in Washington, DC, as a Senior Fellow to The Atlantic Council of the United States. In August 2008, Captain Williams reported aboard the USS Dwight D. Eisenhower (CVN 69) where he served as the Executive Officer. During his tenure, “IKE” completed two combat deployments in support of Operation ENDURING FREEDOM and was awarded the 2009, 2010 Ramage Awards, Flatley Award and the Secretary of Defense Phoenix Award for Maintenance Excellence. 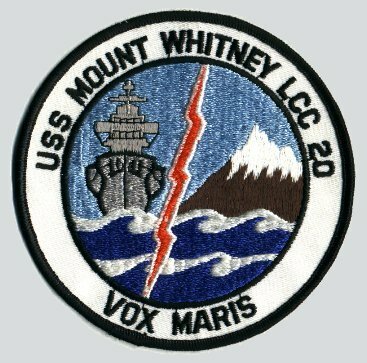 In September 2011, Captain Williams reported to USS Mount Whitney (LCC 20) as the 25th Commanding Officer. Captain Williams holds a Masters degree in Global Leadership from the University of San Diego and is a graduate of the Air Command and Staff College, as well as the Joint Forces Staff College. He also has completed the Navy’s rigorous nuclear power training pipeline. Awards for Captain Williams include the Legion of Merit, Defense Meritorious Service Medal, Meritorious Service Medal, four Air Strike Medals, as well as numerous other individual and unit awards. “Bench” has 837 carrier arrested landings and more than 3,400 flight hours.